Harvey McCue (Waubageshig), an Anishinabe from the Georgina Island First Nation, is a consultant specializing in aboriginal issues in the areas of health, education, self-governance, gaming, public relations and economic development. Previously, McCue helped found and develop the Native Studies Department at Trent University, where he taught for 14 years. 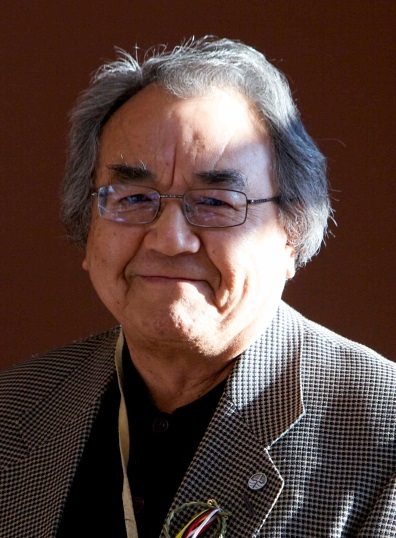 He was Director of Education Services for the Cree School Board in northern Quebec for five years, and was the first First Nations Director General of Indian Education at Indian and Northern Affairs Canada in Ottawa. McCue joined the Ontario Heritage Trust Board in 2009 and was appointed Vice-Chair in 2015, and Chair in 2017. He holds an MA from McMaster University and lives in Ottawa.